On December 1st between 6-9pm stop by your local West Elm store for a Handmade Holiday Workshop sponsored by West Elm and Etsy! 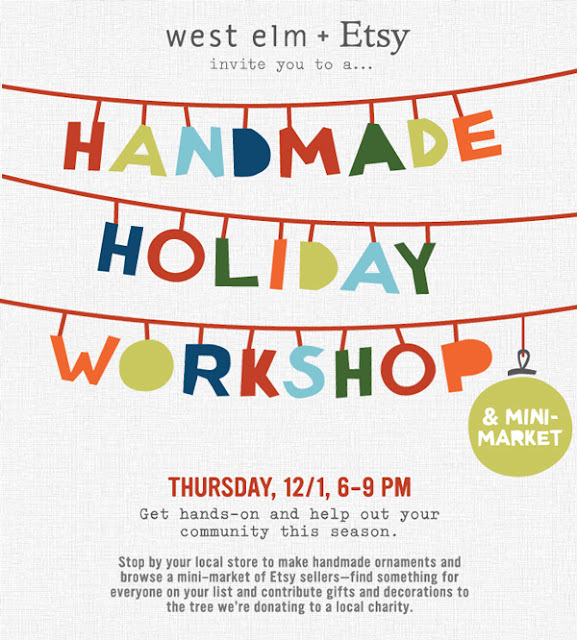 Members of Boston Handmade will be at the West Elm store on Brookline Ave helping you to make holiday ornaments. There will also be a mini market of Etsy sellers, and a collection for unwrapped new toys and holiday ornaments that will be donated to Rosie's Place.